Hannah’s primary role at MRN is to be proactive in ensuring existing relationships with clients continue to prosper. She does this by providing a clear and consistent channel of communication with clients to help MRN understand and satisfy their needs and ensure a high quality service is always being delivered. She also plays an active support role to all fee earners at MRN. 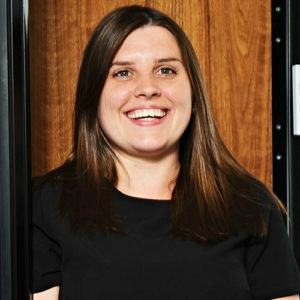 Hannah’s passion for building and maintaining long term and positive working relationships stems from her first role at a Law Firm in Liverpool where she was involved in managing the firm’s successful application and continued compliance of the Lexcel Accreditation as well as being a PA to the Senior Partner. In her final years at the firm, Hannah managed the Property Investment Department by overseeing over nine hundred investment property transactions. As a result of this success, Hannah became actively involved in a Property Investment marketing company where her main focus was building and maintaining key client relationships with investors from around the world, as well as liaising with developers, solicitors and sub-agents. In October 2016, Hannah decided she wanted to return to the Law and joined the MRN team! She is very passionate about Clients, especially in a legal environment, as she knows her work and passion is of assistance to others. With her keen interest in cultural activities, Hannah attends a wide range of music concerts and theatre performances. She also regularly attends a running club and enters local running races, recently completing her first half marathon, The Great North Run!